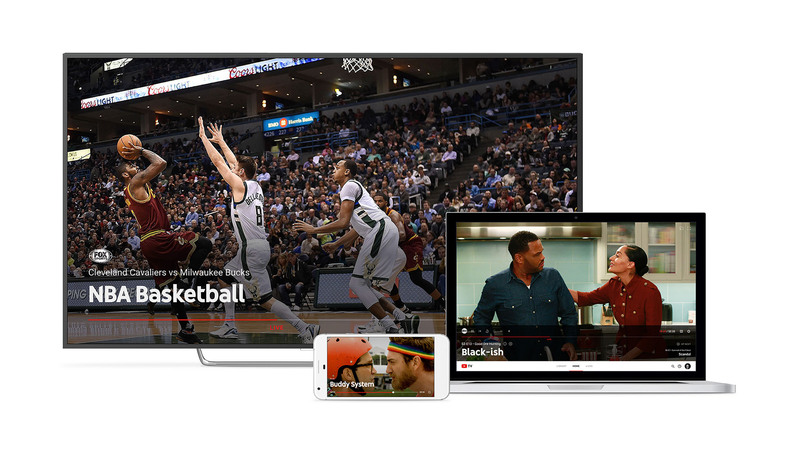 YouTube TV is a streaming TV service giving users access to Live TV and OnDemand Video from major broadcast and popular cable networks. 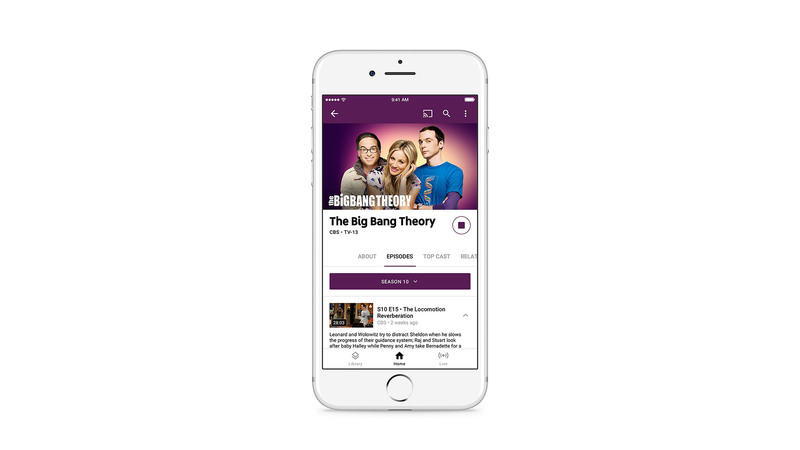 The service includes a wide range of programming including local and national live sports and news, YouTube Originals and Shows, all of which can be recorded without storage limits. The $35 per month service launched in April 2017 in multiple cities across the US. As the world leader in video, YouTube has indepth knowledge and experience for creating and operating online video services, but designing an end to end TV service from the ground up presented the design team with some enormous challenges. 3 of the key challenges were: How to make a streaming video service feel like TV? How to present broadcast and YouTube content side by side? How to design a service that meets the consumption habits of today’s viewer? Make a streaming video service feel like TV Channel surfing — quickly flipping between streams — is a classic TV interaction that traditionally hasn’t been offered successfully online. We were inspired by this pattern and wanted to bring it to mobile, but the challenge was to create a navigation that allowed the user to control the speed and granularity of the surfing. The final design is a simple touch and slide interaction where the channels gracefully slide into focus to reveal the live video. This playful and unique interaction is much loved by our users and is critical to increasing the viewing of live video. 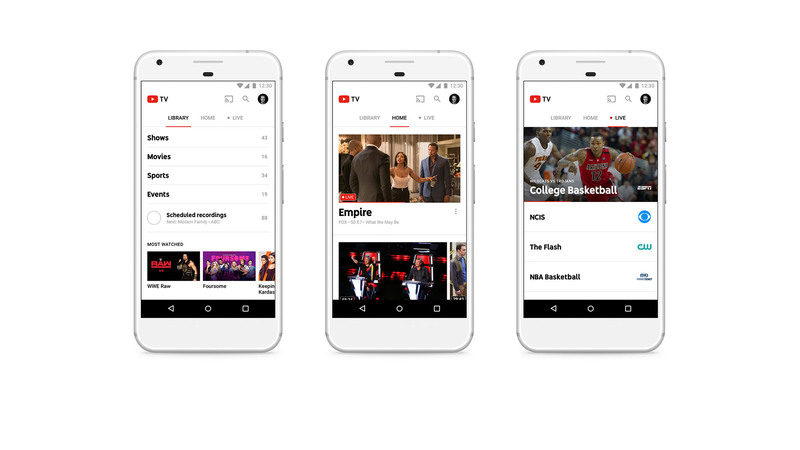 Present broadcast and YouTube side by side YouTube TV brings broadcast and YouTube content together in one product. Due to the inherent differences in these content types, the design team needed to find a way to bring them closer together visually. Since the video artwork was also quite different between them, we worked on creating show cards with a strong focus on the show title typography. A unique font was created to harmonize all content and ended up becoming a key visual component of the product. Consumption habits In the past TV was consumed in the living room through a set top box connected to a television. However today’s viewers demand a service available that’s across multiple devices and viewable anywhere and anytime. Viewing patterns have also changed, less needs to be consumed live, therefore timeshifting is increasingly important. Bingeing shows is another recent viewing habit. Finally, viewers increasingly start a watch session on one device and finish on another. The system design for this new consumption model was one of the biggest challenges for the design team. The team embarked on designing a process that tracks the “Journey” of a show from its future broadcast schedule, through the Live video player and then recorded to the DVR. This journey considered how the content is aggregated across different screens and devices and how it could be consumed during different watch habits. The outcome of this process is a smart service that meets the needs of modern TV consumption.